Adults grow to an average length of 8 feet (2.44 m) with a maximum of 12 feet (3.66 m). Common Names: Carpet python, Northwestern carpet python, Irian Jaya carpet python, West Papuan carpet python. Geographic range: Found in New Guinea (Western New Guinea and Papua New Guinea) and Australia in northwestern Western Australia and in the northern portion of the Northern Territory. The type locality given is "North Australia: Port Essington" (Northern Territory, Australia). Feeding: The snake is not venomous and kills prey by constriction. Their diet is varied and includes many different birds and mammals. Populations that inhabit forested areas are mostly arboreal and often feed on brush-tailed possums, Trichosurus. Reproduction: Oviparous, females deposit their eggs in secluded places such as hollow logs and tree boles where they protect and incubate them. 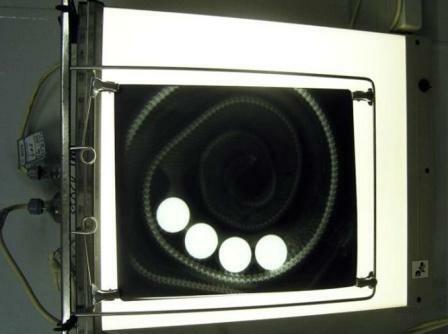 Captive specimens have produced up to 18 eggs that hatch after a 40 day incubation period. The hatchlings are about 12 inches in length. 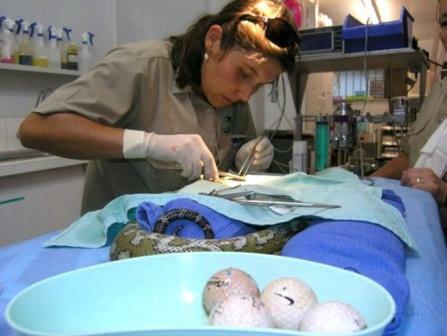 A snake has been saved by surgery after mistaking four golf balls for a meal of chicken eggs. BRISBANE, Australia — A snake has been saved by surgery after mistaking four golf balls for a meal of chicken eggs, a veterinarian said. A couple had placed the balls in their chicken coop at Nobbys Creek in New South Wales state to encourage their hen to nest, Australian Associated Press reported. 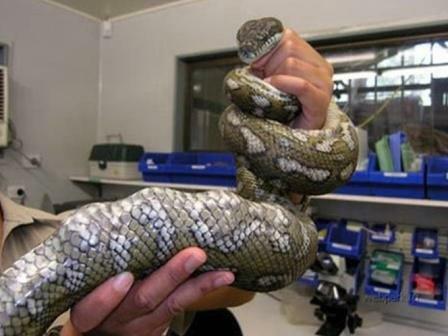 They found the balls missing last month and a lumpy carpet python nearby. They took the 32-inch non-venomous snake to the nearby Currumbin Wildlife Sanctuary, where senior veterinarian Michael Pyne operated to remove the balls from the snake's intestine.